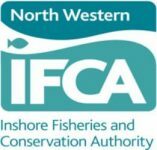 Sea Bass Fisheries Conservation UK (SBFC UK) is a two-year European Maritime Fisheries Funded (EMFF) project led by the Centre for Environment, Fisheries and Aquaculture Science (Cefas) committed to promoting long-term sustainable bass fisheries in the UK. Working closely with regional Inshore Fisheries Conservation Authorities (IFCAs), Cefas will coordinate a series of open stakeholder workshops to establish regional fisher-led data collection surveys and collaborations to gather knowledge of regional and seasonal movements and distribution of bass throughout their life stages (juvenile, maturing and adult fish). The project aims to create two regional bass stakeholder partnerships within established west coast and emerging east coast UK bass fisheries, to share and develop current knowledge and to explore priority areas for data collection to promote long-term sustainable UK bass fisheries. In each workshop, Cefas scientists will present the latest scientific research for seasonal bass movements and behaviour, followed by open-floor discussions on current regional bass fisheries to help initiate commercial and recreational fisher-led data collection and mark ID tag training opportunities. The regional workshop for the North West is being held on 27th September at 10am-4pm at the Royal Station Hotel, Carnforth, LA5 9BT. To participate in one of Cefas’ workshops, simply email Cefas: your name, contact details, interest in workshop, region you wish to attend and dietary requirements to: [email protected]. All participants will receive a free delegate pack together with tea/coffee and buffet lunch. Click here to see the promotional poster and dates for other areas.